It’s becoming even easier to organize and reconcile orders made with your Amazon Business account. Now account administrators can set up custom fields for employees to enter specific purchase order details before completing an order, streamlining your internal approvals, order delivery, reconciliation, cost allocation and spend analysis. In order to fully track and manage purchases and expenses, businesses need a variety of detailed information about each purchase to process payments. Depending on the business, the information required could range from cost centers and project codes to department identifiers and location codes. The new order management capabilities in Amazon Business allow you to specify custom information fields that will be associated with every order. You can configure your own fields or add from our list of most-used fields so your orders are easy to manage across your organization’s purchasing and accounts payable teams. You can choose which fields are required and which are optional for employees to complete. By associating these details with every purchase, you can get accurate data about your team’s spend and be more efficient when approving, tracking and reconciling purchases. The information will be reviewable in your order details and Amazon Business Analytics. 1. 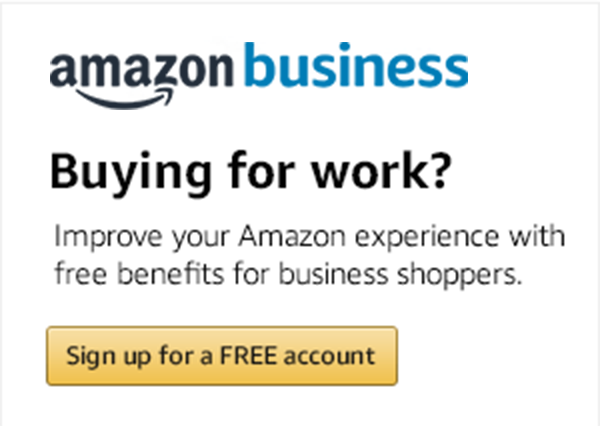 Sign in to your Amazon Business account and select Manage Your Business from the menu bar. 2. Scroll down to the “Order Information” section under “Customize your account.” Select Configure on the right. 3. Create your order fields. Amazon Business provides the following pre-defined order fields and a link to configure your own custom fields at the bottom. While requiring this information can help streamline reconciliation, too many required fields can be frustrating for your users. Keep the purchasing experience simple by only requiring them to complete necessary fields and by using field labels that are straightforward. Note: Just want to use your own fields? Click the left boxes to enable or disable as needed. Sign in to your Amazon Business account to get started with custom order fields. Jimin Patel is a product manager for Amazon Business.